All characters are formed from personal handwriting, which was taken from the pages of my calligraphy.I hope that it will help those who are less skilled at calligraphic writing. 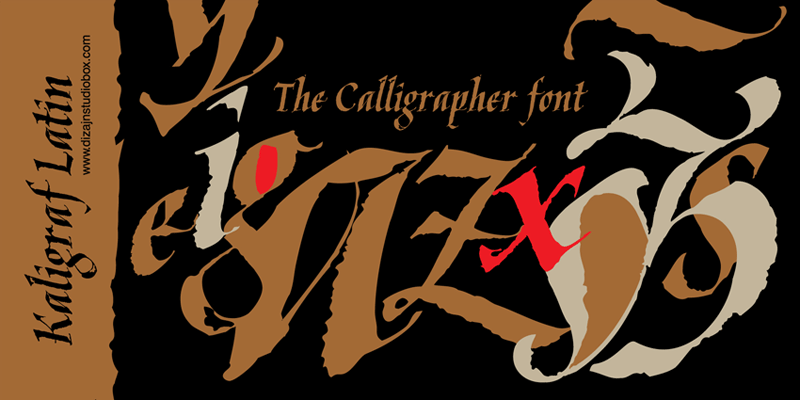 Font includes a few ornaments that can be useful in creating typographic pages. At the request of many users of "Kaligraf Latin" font, I created the Cyrillic version "Kaligraf Cyr". I hope that those who use the Cyrillic alphabet will enjoy using it. Thanks to all that encourage creative work!